Through workshops, small and large public murals, and an unprecedented intergenerational regeneration scheme, Signal has contributed to delivering tangible local authority outcomes, including substantial funding uplift, across a whole county. 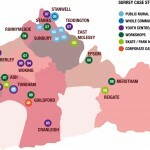 Signal has built up a broad portfolio of over 26 projects delivered across Surrey County Council since 2004 working with diverse groups across the community. 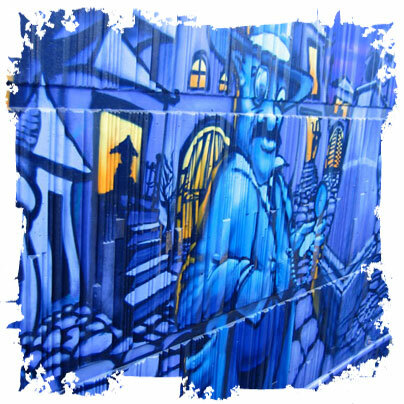 The projects include numerous one-off graffiti workshops at youth clubs, large public murals and longer term activities that gain participants GCSE equivalent qualifications. “I am writing to say how wonderful it is to work with Signal Project Limited. The work that you carried out with the council on the Sunbury Cross project as part of the Cultural Pathfinder was excellent. The Council received national recognition for this work and it also helped support young people. I do know that one or two people went on to college to study Graphic Design. The project attracted nearly £500,000 in external funds and has certainly improved this area. Commissioned through various council departments, our work is designed to integrate and meet the Local Area Agreement objectives of multiple agencies working in partnership across the borough. As a result, our larger projects have been instrumental in securing investment for the area significantly above the Council’s initial outlay. Our work has proved particularly relevant in these areas: Children and Young People, Safer and Stronger Communities, and Housing, Infrastructure and Environment. 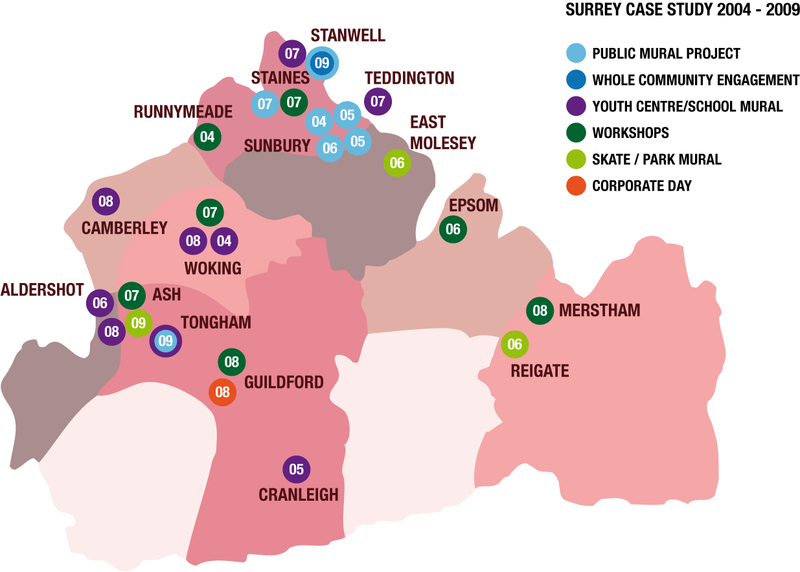 Signal’s working relationship across Surrey has continued to improve and develop over the years, with projects becoming more ambitious and more expansive. The Stanwell Project involved 900 members of the local community, and the Tongham Subway Mural was an opportunity for 16 young people to fast track through a BTEC Visual Arts equivalent to one GCSE, with a 100% pass rate!